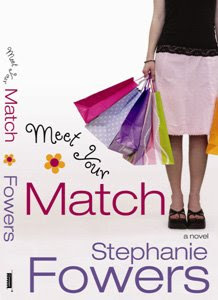 Meet Your Match by Stephanie Fowers was such a fun book. It takes place on the campus of Brigham Young University (BYU) where I went to college. It brought back a lot of fun memories of good times. There is a lot of lingo associated with the BYU culture, and it is a central part of the book. Reading this book reminded me of lot of that lingo, but there is also a lot of new ones I'm not familiar with. I guess a lot changes in 13 years! The story revolves around Jacqueline who wants to prove that nice guys can finish first. This leads to a wager with Britton who thinks that jerks always come out on top. This results in a series of manipulations to prove their point. It's a really fun book, and for me it was a trip down memory lane. However, it might not be as enjoyable for someone to read if they're not familiar with all the lingo and unique cultural references. That is so funny. I hadn't thought of that.